Not only does Live Support deliver better customer service, but you can make real cost savings—handling more calls with the same levels of assistants. And, unlike a phone call, you can even upload documents and screenshots. Vocoll is exactly what I was looking for in a Live Support platform. It helps customers reach exactly who they need to. Vocoll shows great promise as an alternative to phone support. Watch your teams become more efficient through timely, targeted communication—and ditch cumbersome and wasteful email chains. Vocoll’s innovative micro-service architecture and Fair Licensing Policy means that you can quickly expand your apps as you expand your business. Vocoll’s collaboration tools enable your organisation to realise the value in your team members, your business content, and to drive success. Security is a huge priority. Team Fusion's secure conversations are transferred in 256-bit SSL encryption—the same security protocol as online banks—and all data is stored within the European Union. 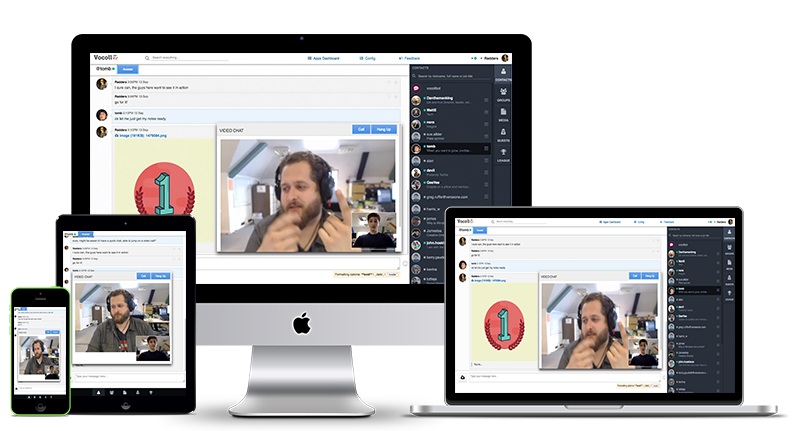 Grab and share files from your desktop, email, or camera, and share them into any Team Fusion conversation or Project Group. Link from popular social channels to display videos, Tweets and more. Your Team Fusion account is synchronised whether you access through any desktop or mobile device. This means conversations are never lost when you switch devices.